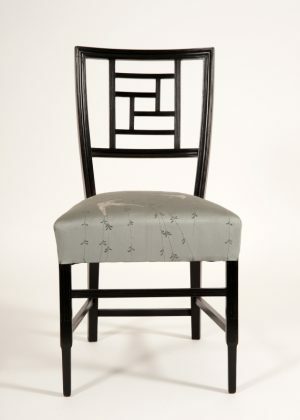 A walnut ' Phillippines' side chair with gilt details. Ht: 49" W: 20 ½" D: 19"
A walnut ‘ Phillippines’ side chair with gilt details. Literature: Moon, Karen ‘George Walton; Designer and Architect’, White Cockade 1993, page 120, plate 157.